The brand new 2013 Range Rover, the fourth generation of what Jaguar Land Rover righty calls an “iconic” vehicle, is an excellent vehicle.Maybe too excellent. At Jaguar Land Rover’s (JLR) invitation, we flew out to Utah and put the luxury SUV through its paces on desert highways and a rocky, muddy off-road course. 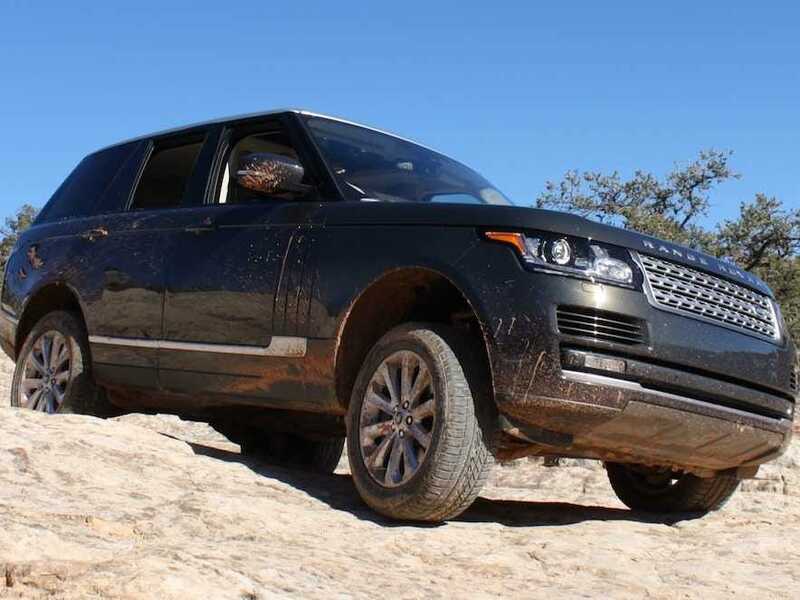 The luxurious and capable Range Rover handed everything remarkably well, climbing and descending steep trails, rolling along comfortably at rather high speeds, and easily dodging a deer that chose the wrong moment to cross the road. And it did it while keeping us swathed in quality leather, listening to an excellent sound and enjoying a massage. Does any car need to do all that? 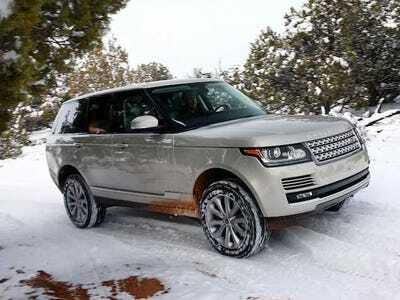 The Range Rover’s mission is “to be the world’s SUV brand of choice,” says Kim McCullough, a Brand VP at JLR. The motto going into the design of the fourth generation was “don’t change it, just make it better,” and the team did just that. While retaining the distinct look of its predecessors, the 2013 Range Rover is more capable, luxurious, and even fuel efficient. Stewart Moore, a chief electrical engineer at JLR, described being behind the wheel of the Range Rover as an “imperious driving experience.” He’s right: You sit high up, feel little below 80 mph, and easily reach rather illegal speeds. Off-road, it does things you would never expect. The Terrain Response system sends the SUV up hills, over huge rocks, and through three feet of water, no sweat. Thanks to its aluminium architecture, the Range Rover is nearly 1,000 pounds lighter than the outgoing model; its body is 51 pounds lighter than that of a BMW 3 Series sedan.That means improved handling as well as fuel economy (up 7 per cent to 13 mpg in the city and 19 mpg on the highway). And the car does not feel top heavy — the threat of rolling over did not occur to us — even when the suspension is raised all the way up. The interior is supremely comfortable, with massage seats in front (the top of the line, obnoxiously named Autobiography version has them in back, too), and quality leather and wood (both sustainably sourced). The back seat is spacious, although it gets tight with three adults. JLR rightly reduced the number of buttons and controls by 51 per cent, yielding a control panel that is easy to understand and use. And it did it without relying on a voice command system, which never live up to what they promise. Plenty of colours are available for the interior and exterior. We would go for the classic black or white, but apparently red leather is popular in Miami, and drivers on Martha’s Vineyard in Massachusetts like the teal exterior. The point is, buyers get what they want when they drop around $100,00 on the SUV. DownsidesOur dislikes were few and far between: The button to open and close the trunk is fussy, and freezes up when you forget there is a button, and try to close the trunk manually. One of two glove compartments shuts unless you hold it open, so putting anything in there requires two hands. These complaints are, obviously, nitpicking, and should not play a role in a decision whether or not to buy the Range Rover. In any case, they could easily be fixed by the time the 2014 model year comes around. Impressively, JLR has built a car that does not compromise on luxury or capability: That’s how they sell the Range Rover, and that’s also what pushes the most affordable version above $80,000. The Big QuestionDo you need a car that climb a rock-strewn mountain and massage your back at the same time? Does anyone? 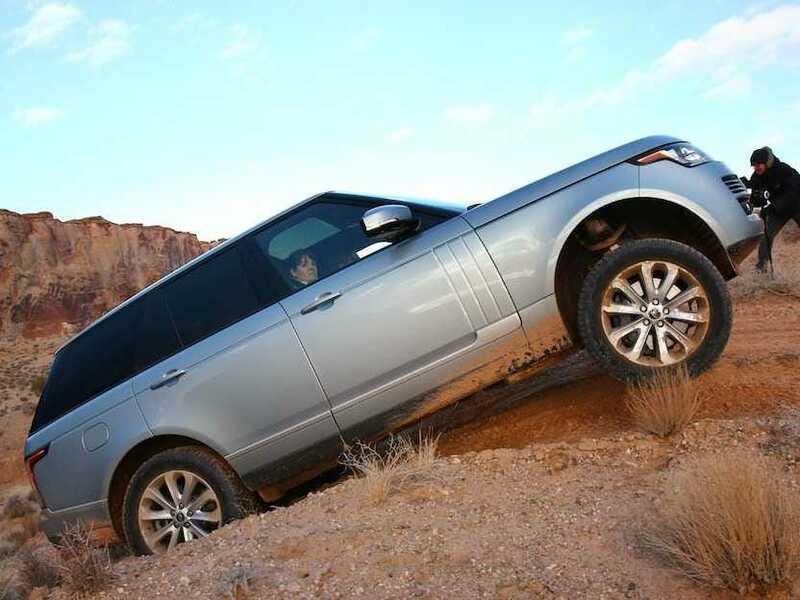 If yes, you cannot do better than the 2013 Range Rover. If no, it’s probably because you’ll never do serious off-roading in such a valuable car. It will get you through muddy and snowy conditions, of course, but so will any ride with all-wheel drive. If you decide to go for the Range Rover, you’ll have a great car. But know that a good chunk of your monthly payment is paying for the right to tell your friends how capable your ride is, not to actually put it to the test. Disclosure: Jaguar Land Rover paid for our travel and lodging expenses to drive the Range Rover.